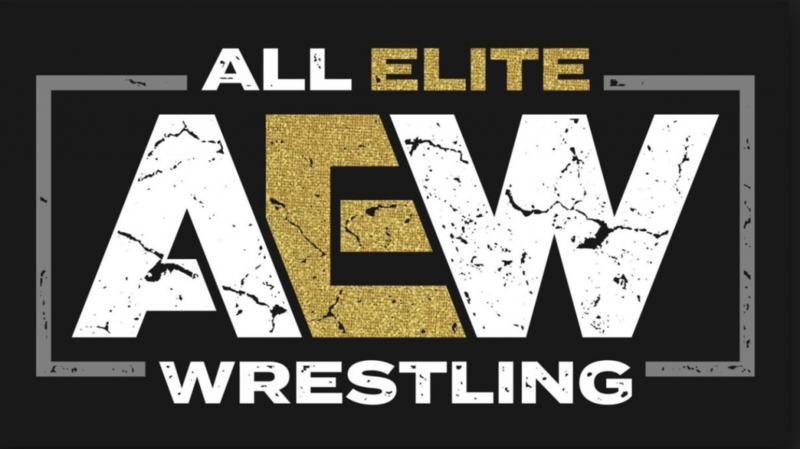 So as pretty much anyone whom is an pro wrestling enthusiast knows, a new pro wrestling company All Elite Wrestling has been formed with most of the biggest and most creative people in the business today. While I have zero doubts on what they will do in the ring, television or from rumor in the video game world the one place where I do worry is the toy industry. There have been a ton of promotions out there that have had toy deals over the years and even recently but only a very few have ever survived or taken off. Now the industry is mostly focused on the collector market now. Which I have gone over ad nauseam why this is both good and bad, but that is not the subject of this article. If you are going to not only survive, but thrive; Mrs. Matt, Cody, Bucks, Kenny listen up! Six Inch Scale is King! Yes, I am sure you are going to get a ton of pitches for a ton of different scales, articulation setups, etc. But if you listen to nothing else here this is key; MAKE YOUR LINE 6 INCH! It is where all of the most popular lines are, it is the perfect compromise between size, price, detail and articulation. But, the true reason why everyone is at this scale is the same reason why you liked everything being 3 3/4 scale when you were a kid. You can have all your different lines interact with each other. I know that I was far from the only kid to have Snake -Eyes interact with Boba Fett and Captain Power. And please for the love of god please don’t do what Mattel and WWE does which is inflate the size of their figures to make them seem bigger. Kenny Omega isn’t bigger than Superman, don’t make his figure look this way. Toy collectors are picky, as I have seen wrestling fans are even more picky. Whomever gets the toy license has to be up to the task of getting every little detail right. Long gone are the days of just putting out a figure of something and hope it sells. Today’s collectors are looking for not just characters but specific looks of those characters. And they had better be done right too because if they are not, will you not only hear about it but it will not sell even when heavily discounted. If I can highlight one of the things that Mattel does incredibly well with their Elite range of figures is keeping scale with all of the wrestlers mostly correct compared to their real life counterparts. This is a little thing that doesn’t sound like it should matter but many people do notice and when it is done is highly appreciated. You have to Paint your Pretty Face! Do not skimp on the paint apps. Sure it might cost an extra 4 cents in China but it is worth it. Many companies are now using “Face Printing” techniques to scary lifelike faces on figures. Having a product that looks better than everything else is what you should hope to have but you also don’t want to look markedly worse than what is out there. Articulation: this is why they are not Statues. Sure McFarlane made beautiful “figures” in the 90s but they are basically plastic statues. The industry has gone so much further from then that even McFarlane Toys has relented and started making highly articulated figures. There is nothing worse than having a figure that you can’t get them to do whatever they do in their media. You don’t want a Spider-Man who can’t get into a four point crouch or a Batman who can’t throw a kick. The same is to be said for wrestling figures. I do feel this is a place where there can be innovation in wrestling figures and very interesting things could and should be done here. Now the one place where you could skimp on this would be a lower articulation figure line at a much lower price point for little kids. I know the Mattel Basics line does ok with this and those giant Titan Heroes that Hasbro puts out are popular as well. This is something that has been hit or miss over the years. First things first, the market has spoken and extra sets of hands are pretty much a must have now. You need fists, you want to have hands that can grab or chop. The Bucks need to be able to “One Sweet”. It is one of those small costs for huge reward adding. But do not forget actual accessories; championship belts, ring jackets, masks, Cracker Barrels they are important and help make someone buy your product over someone else’s. MAKE IT SO IT CAN BE BOUGHT! Distribution is a huge issue with toy lines these days. All too often something cool comes out but you can not get one without resorting to EBay and paying someone multiple times it’s price to have it. You can have the greatest product in the world but if no one can get one it doesn’t matter. Whomever you deal with should be able to give you concrete distribution network information and be able to not only get the product out there quickly and effectively but to be able to resupply it in a timely manner as well. I imagine the first few waves of figures are going to be hot commodities, the partner should understand and be ready for this. I wish everyone involved in AEW all the luck in the world. I am excited for this more than I have for anything in the business in quite some time. So I know I haven’t posted in such a long time. I guess I should probably change this. As some of you might already know I am a massive toy collector, especially Marvel Legends which I have been collecting since it’s introduction. As some of you may remember after Hasbro took over the line from Toy Biz I expressed my dismay with how they handled the line. Well now a decade after acquiring the license Hasbro has hit their stride and not only has lived up to much of the Toy Biz product but in some cases has exceeded it. They have also released many figures that have either been major wants for years for like the recent Brown Suit Wolverine or Darkhawk or figures that no one ever expected to see like Disco era Dazzler or Nico from the Runaways. Hasbro has shown now that nearly anything is on the table. So here in no particular order is my own personal wants in the line. This has been my “white whale” for decades now. 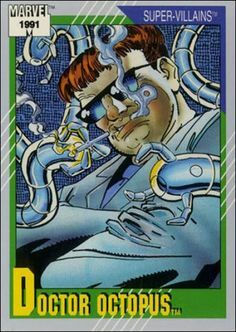 Doc Ock has always been my favorite Spider-Man villain and when I first started to get into comics this was the look he was sporting. 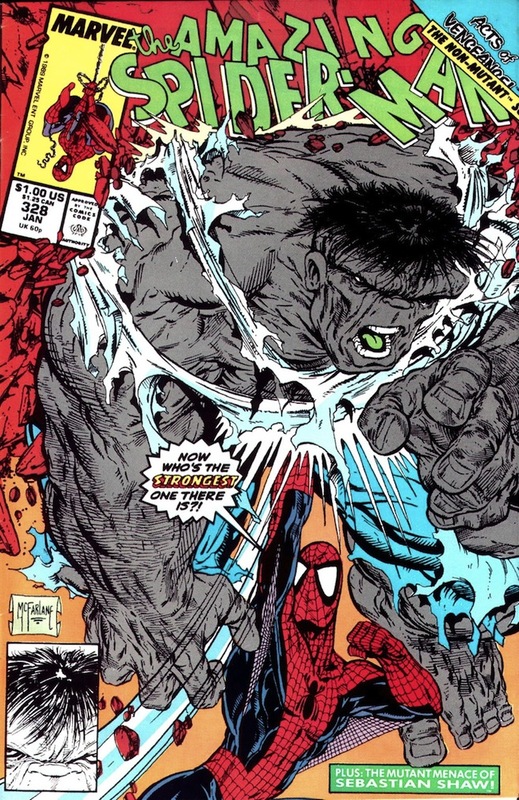 The double breasted white suit was made most famous by Erik Larsen in the Revenge of the Sinister Six storyline. To me at least it changed poor Otto from a bumbling almost cartoonish villain to a more serious and credible threat and very visually striking. The figure of this would be a boon to Hasbro as well since they could use a second suited body, shorter and more stout. Sadly with how Hasbro functions this will likely end up as a Build a Figure which could be a blessing if we could get some fantastic and longer arms out of the deal. 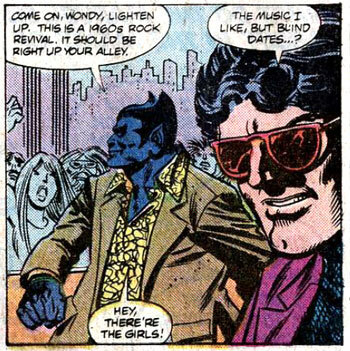 Come on, he even got women during this time! So Todd is most famous for his Spider-Man which was captured in plastic in the very first Spider-Man classics wave. What is just as good to me is his unique take on the Grey Hulk. 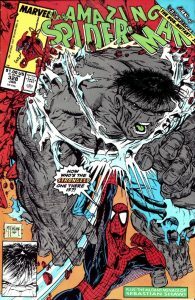 Shorter and much wider than the traditional Hulk looks of the past with a pug nose and large pronounced brow it has always been a fan favorite look of the normally Green Goliath. Toy Biz made a half attempt at this version with the variant Marvel Icons Hulk. The head while trying to echo this look failed and the body did not match at all. This would likely have to be a BAF and I would like to see how they would attempt the character due to the tattered clothing. 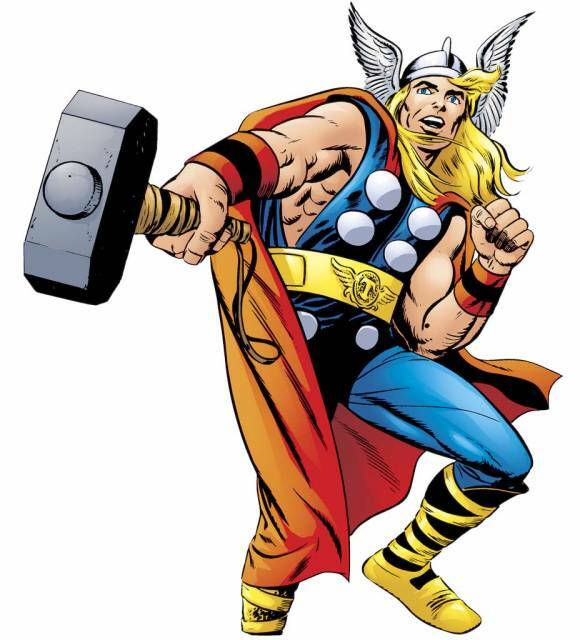 This would also be a great character for Diamond to try with their Marvel Select line. The green tongue is such a great touch here. 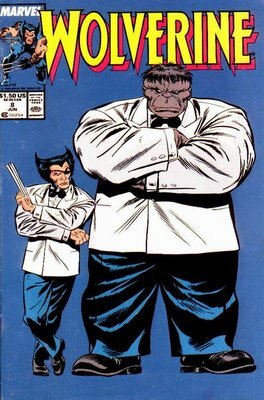 Since we finally got a proper Brown Suited Wolverine this is next on the list. 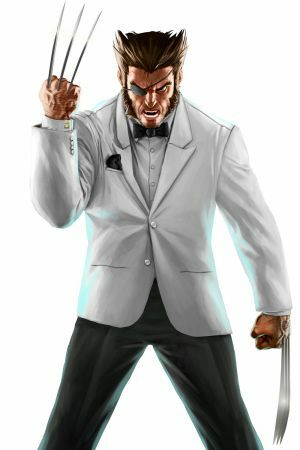 The Patch alter ego of Wolverine has been another fan favorite look, most notably in various Madripoor stories in Marvel Comics Presents. Patch sitting in Princess Bar drinking is one of my favorite looks of the character. This would likely be a win/win for both collectors and Hasbro due to a suited body being useful for other characters and/or customs and Hasbro not having to worry about a Wolverine having to peg warm after being double packed like Old Man Logan is currently or a more extreme example the GOTG Iron Man which I am still seeing on shelves years later. 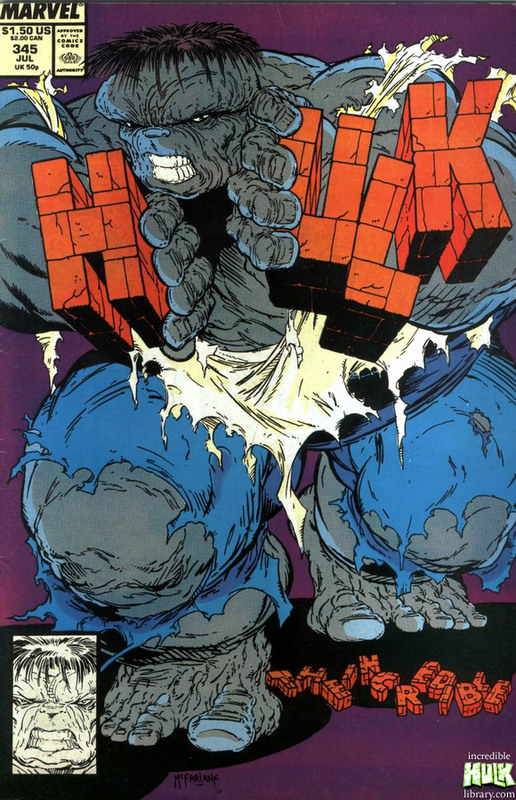 You could always add Mr. Fixit Hulk as well. While both are needed you really can’t have one without the other. Like a good buddy cop movie these two just work great together. While we have seen Wonderman twice in his more recent duds, the safari jacket is most fans of the character’s favorite look. 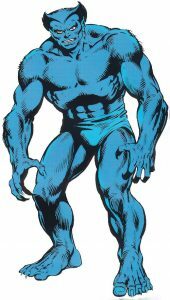 As for Beast, most fans today don’t realize that Beast was a Avenger for many, many years as he has been a X-Man for most of the last 3 decades. While I wouldn’t mind having a new, updated Jim Lee era Beast, having a George Perez style Beast. I have wondered if the recent Jackal figure was made in part to create this figure, if not it would be a great starting place. Come on, how can you not want them together? 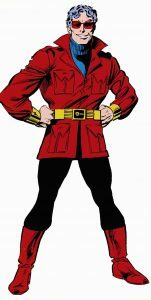 It has been nearly 20 years and we have gotten several versions of Magneto yet none of them has hit the mark. The most recent attempt was in a Toys R Us exclusive X-Men wave which was very limited, impossible to find and still looked awful. 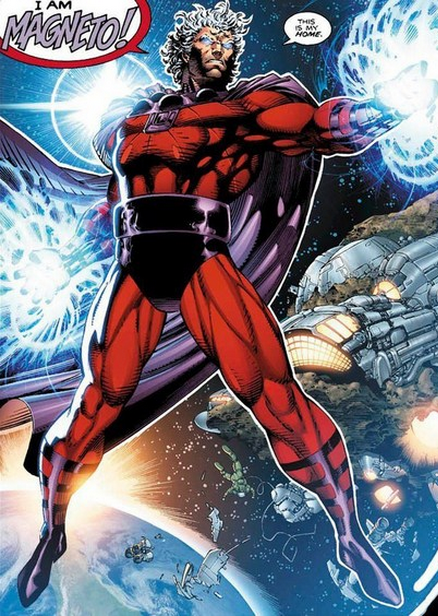 Give us a proper Magneto with multiple heads to give different looks and do the character justice. Now this is a figure I can’t figure out how we haven’t gotten another of yet. 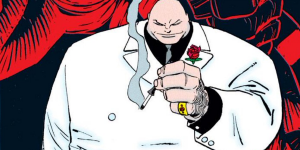 I would have put money down on having a Kingpin BAF in either one of the Spider-Man waves or the new Netflix wave arriving soon. 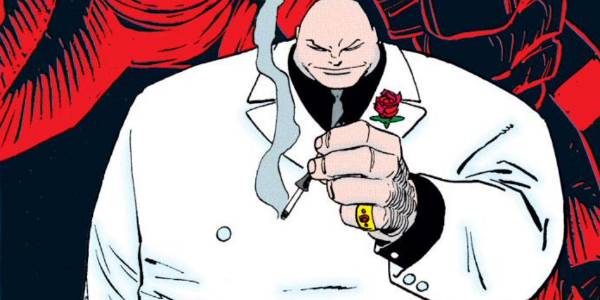 Somehow Wilson Fisk has not been remade into plastic yet. 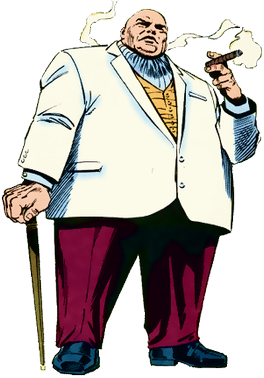 We have gotten one Kingpin figure in the limited Toy Biz Two Packs at the tail end of their life. While it was a good figure for the time it has aged pretty badly and was never easy to find in the first place. A updated figure to take advantage of the character’s popularity due to the Daredevil Netflix series should be a no brainer. Hopefully we see it this year. 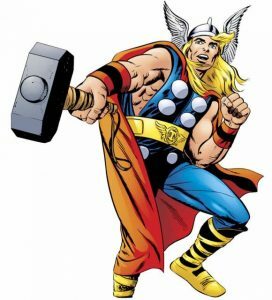 Walt Simonson did the best Thor! So there we go, with SDCC right around the corner I would be utterly amazed if some of these don’t get announced. If they do Marvel and Hasbro can email me my No Prize. A longer 1:30 version of the song from the commercial. So I did actually get a copy of Diablo III launch night, thanks to a friend at Blizzard whom will remain nameless to whom I am eternally grateful. I have been playing pretty regularly since launch and I have to say that all things are not well with the game. I know, I know pretty much all you have read about Diablo III since launch has been people complaining about one thing or another. I am sure you have read it all and probably are as sick of it as I am. But it doesn’t mean the game is not a mess at the moment and I think I have figured out why. Diablo and Diablo II were both Action Role Playing Games, hell they basically invented and perfected the genre. They are both easy games to learn to play and are rewarding for nearly any type of player if they have 10 minutes to play or 10 hours. The ARPG genre is wonderful in that respect as you can sit down, discover new ways to play it, get rewarded and most importantly have fun. Fun… you know the whole reason why you play a game. That thing where you do something for no reason other than enjoyment; see also anything that is not a chore or work. Diablo III on the other hand seems to have not been designed for this thing called “fun”. Seemingly the design of the game seems to be radically different than what most players want or expect to be able to do. See the massive nerfs to pretty much anything but doing what the developers want you to do; which is start a game, progress through the entire Act/Storyline, kill Elite mobs, get the buffs from them and hopefully get some loot from things you kill, if you can actually kill them. Sadly this design philosophy contradicts pretty much the entire reason why people play these types of games and how they play them. In a MMO like World of Warcraft one takes on quests and follows a loose storyline to gain loot, IE items and money. In such a open type of game it is a needed element as you need some structure to allow people to play and to lead them to where you want them to ultimately go. It works quite well as Blizzard themselves learned after you reached the level cap many people who were not interested in either end game raiding or PVP had nothing to do anymore. They then created daily quests to do to try to appease that playerbase to various levels of success. In Diablo III it seems they tried to do much the same thing, which is give a questline and much handholding through the entire game. Ultimately this is done less for a narrative reasoning but more to attempt to keep the playerbase to play the game as they designed. What the problem is that which works for a MMO like WoW does not work for a ARPG like Diablo. Diablo is about one thing and one thing only: loot. The game is effect a giant casino game with pretty colors. You farm various things over and over again to attempt to get that jackpot of loot. You kill things>you get loot>you have fun. Right now all three of these things are in short supply. First off whomever is in charge of the class ability decisions right now needs to have their head examined. I will come out and say it, ALL THE CLASSES ARE SCREWED RIGHT NOW. The design philosophy oh “If something is working too well or is too good it must be nerfed.” is not only short sighted but ultimately dumb. This is not a MMO, we have no need for class balance. I understand that they want all abilities and builds to be viable but perhaps instead of nerfing the stuff that is obviously working, how about you focus on the things that are not working and instead perhaps bring them in line with the things that are working. Wizards, Demon Hunters and Monks have all been utterly devastated by the recent nerfs and poor Witch Doctors can barely play right now. Diablo is not a game about balance. At a certain point you want to be able to get to a point where you are powerful so the mobs that used to give you trouble eventually become a joke. This brings in reward and fun. Secondly the design philosophy of playing through the Acts to kill Champion packs and Elites to be able to get gear and the only way is frankly dumb. Instead of effectively forcing people to play the game as they want or envision perhaps the best idea would be to perhaps embrace the new ways people have found to do things. Things like stacking Gold Find to break Pots is a brilliant idea and if someone is having fun doing that then it should be embraced instead of killed. Blizzard is acting like the little kid on the playground when they don’t get their way they take their ball and go home. Many of the “fixes” in the last several patches have tried to punish the people who don’t want or don’t enjoy playing the game as Blizzard designed it. This is ultimately only hurting Blizzard as they turn more and more people off from being able to play and enjoy the game there will be less people playing it. Thirdly, the Auction House… I am actually a fan of the auction house. Well, at least the Gold Auction House. I think it was one of the few things missing from Diablo II and may have stopped the proliferation of the shady third party sites. The problem with it in Diablo III is that they did it all about as bad as they possibly could have. First off I am level 60, I haven’t had a single item drop for me that I could personally use since the teens. For a game that is ultimately about loot, there is a major problem here. I don’t want to use the Auction House solely as my option for gearing up my character. It is much more satisfying to fight and earn something on your own. As it stands I know of no one that is or even can do this. This is a problem. The Auction House should be a resource of last resort or convenience. It should not be factored into the drop rates of anything. But here in lays the problem with this, the Real Money Auction House. Blizzard can’t make their 15% if people can earn (yes I said EARN) the gear they want, especially on the end game gear. While I understand how and why the design choices were and are made it doesn’t mean I agree with them or that they are right. There will always be a market for people that will spend real money on perfect items, however small that is. That is what the RMAH should be for and if Blizzard wants a cut of that more power to them. But a majority of the player base wants to be able to earn their items mainly by playing the game or if their luck is incredibly bad by the gold they earned by playing the game on the Auction House. As it stands right now none of these things are happening and in turn people are not getting rewarded and having fun. So what have we ultimately learned by this long winded article? Mainly that the developers right now have the wrong mindset to how to properly design the game. They have taken too many of their design choices from MMOs which does not ultimately work in a ARPG. The game is just not very fun to play at the moment for a multitude of reasons not just what I have wrote about here. I have hope that in time the game will someday become what we all want it to be, but I fear that the bullheadedness of the developers will continue for some time due to recent postings about upcoming changes and patches. Personally I am likely done playing for awhile. I, like many people, am just not having any fun playing it. I can see a fun, good game lurking underneath the surface and when it finally comes around I will happily come back to play. Until then there are plenty of games for me to play where the goal is to actually enjoy myself. 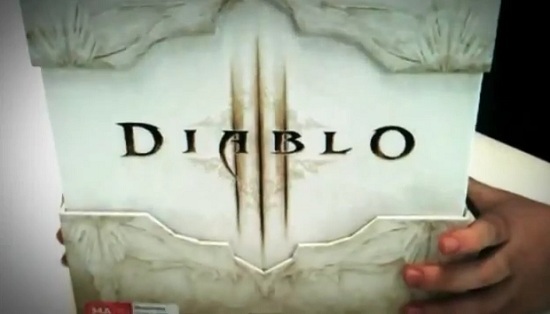 So I won’t be getting a Diablo III Collectors Edition. This isn’t due to a lack off effort or planning on my part either. Here is the sad story of how I won’t be enjoying Diablo III tonight. Back in February I decided to preorder a Collectors Edition from GameStop.com. I had the money and really wanted the extras in the package. Ok, to be honest I was slightly obsessed about getting the Diablo skull, take that how you will. I placed my order and took ease in the fact that I wouldn’t have to worry about getting a copy anymore. Fast forward to last Thursday, May 10th. Around noon I received a mail stating my order had been canceled. I called their customer service line to figure out why my order was canceled as I have plenty of money in my bank account and I hadn’t canceled the order myself, let alone less than a week before the game was released. After about a hour of being on hold and dealing with a representative whom couldn’t tell me anything other than, “Your order had been canceled, sorry about your luck.”, I talked to a manager who informed me that GameStop was not receiving enough copies to fill their orders. I was told that they were trying to get more copies but they were not hopeful. Needless to say I was not pleased not only for my order being canceled but it being less than a week before release so my hopes of actually getting a copy elsewhere was next to impossible. Add to this the fact that GameStop would do nothing to ease the heavy burden not placed on me. I went around to various retailers locally to see if I could get a copy and they had all sold out themselves. I had resigned myself to trying to get a copy waiting at a retailer at midnight on the 15th. Later that night I saw that Walmart.com had opened up their preorders and I luckily scored another copy from them. I was saddened to see it would not come until the 22nd at earliest but I was just happy to get a copy. Around 8:00 PM tonight I received a email from Walmart.com stating that my order had been canceled due to them not getting enough copies. Needless to say I was livid. To add further insult to injury they had already charged my card for the game and I would not be receiving a refund for 10 days. So not only did they take my money and not give me my game, I don’t have the money now to try and get a copy elsewhere tonight. I am pretty distraught over the entire ordeal. I have been crying a bit. It might be silly for a grown man to cry about not getting a video game but the Diablo series has meant a lot to me over the years. Also you add the fact that I did everything in my power to get a copy and I am still sitting here tonight without a copy and no way to get a copy at all. So in closing Dear GameStop and Walmart: You ruined what was supposed to be a enjoyable experience for me. Thank you for screwing over not only me but probably thousands of other gamers who are stuck in the same situation tonight. I hope we all band together and sue your asses over it like I hope the Aussies do to GAME. Needless to say I will NEVER shop at either of your businesses anymore. I will take my dollars to establishments that don’t take advantage of their customers. Ubisoft, DRM, Piracy and the PC. There has been a lot of talk in the last several days about Ubisoft’s controversial decision to not release a version of the new Ghost Recon game on the PC. Their reason; piracy. Ubisoft more than any other publisher in recent memory has tried to blame their poor sales of their PC games on piracy instead of the truth. They have released cruddy ports of lackluster games with draconian DRM. People aren’t buying your games because “they are just pirating them from the Pirate Bay”. People aren’t buying them because they are rubbish. When is the last time you have read anything about a Ubisoft title other than the silly DRM included? That’s right you haven’t. Gabe Newell of Valve Software has basically said it best that if you make a quality product, give it a fair price and make it easily and simply available you don’t have a piracy problem nor a sales one. I don’t hear Bethesda, Activision or EA complaining about PC piracy effecting the sales of their latest games and all of their latest big titles have been available pirated either before or right at release. Piracy is the boogyman excuse in the PC gaming world for the last several years, as if publishers just discovered the practice and that it hasn’t been going on since the beginning of computers. The real facts for it becoming such a hot topic now is that the large public companies whom publish terrible games need excuses for the shareholders why their awful games aren’t selling. The world of video games is still basing itself on the Hollywood movie model of production which in the modern game development world is quickly starting to run to the end of it’s course. Where with Hollywood you can release a couple of bombs but a cheap movie that becomes a hit subsidizes the losses of the failures. With the ever rising costs of creating video games even a crappy shovelware title costs a great deal of money and manpower to create. It is not like the 8-bit days where a publisher like LJN could get a license, put 3 guys to make a game regardless of quality and shove it out the door in a couple of months and recoup the costs and then some. Even a terrible game, and this is according to Ubisoft themselves, $18.8m-$28.2m to create. This is not counting the marketing that is put behind it as well. I think the best solution is this, publishers need to stop trying to over saturate the market with software. We all need to take a page from the book of developers like Blizzard, Valve, Nintendo and iD. Make a quality product, release it when it is done and support it post release without nickel and diming you without crazy DRM. Sure you might not have a new version of Call of the Battlefield Hero Creed every year. But, you will have a fanbase whom will be glad and eager to put down the cash for your title. Gamers are pretty smart, crafty folk. We can smell a lemon. Steve Jobs is dead. It still hasn’t quite sunk in yet. I found out at work from a coworker and hoped it was a cruel joke. Unlike many of the things you may read today about Steve’s passing I am not going to run through a list of accomplishments and talk about how he was a visionary. Instead I am going to talk about he directly effected me. As most kids growing up in the 1980s, every school I went to was full of Apple IIs. The very first computer I touched was a Apple IIe and it changed my life. The foundations of all my computing skills came from those lowly Apple IIs, I learned to type on one, I learned how to program in BASIC on one. It started a love affair that has turned into a obsession at times. 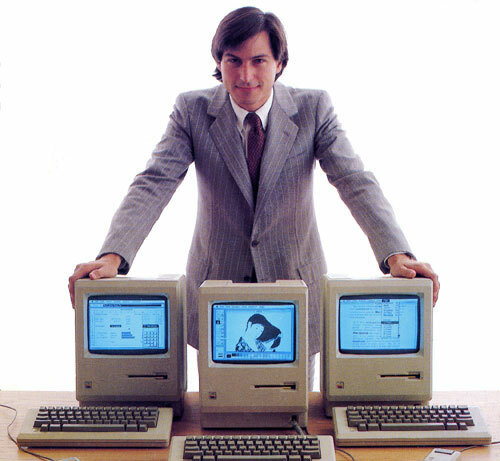 The first computer I ever owned was a Macintosh Classic, from that I got online for the first time although it was not really what we consider the internet today. I learned HyperCard on that system. Also I started my first hacking adventures on that machine. I probably loved that computer more than any other in my life. I didn’t own a cellphone until fairly recently, the iPhone really has changed my life in a million different ways. I really do feel lost without it. Steve Jobs has influenced and changed everyone’s lives in so many ways. The 3D animated movies you watch, having access to a music store anywhere at any time, even that crappy Breakout Clone on your crappy 1952 cellphone is because of him. We lost a great person today, one that perhaps comes once in a lifetime. I know the plans he had for the future are still in the works and we will continue to feel the effects from him for some time. I just want to say, Thanks Steve for all you have given me. 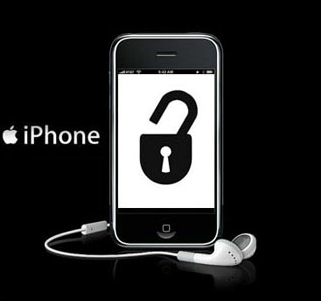 You need reasons to jailbreak your iDevice? So I was listening to Geektime on Sirius/XM last week where the hosts never had a compelling reason to jailbreak their iPhone/iPad. A caller tried to explain some but did a awful job. So, here I come to swoop in and do the job right. First off a disclaimer: jailbreaking while legal does void your warranty with Apple. Know what you are getting into before jailbreaking your device and do your homework before hand. Redmondpie is a great resource for guides and Jailbreak Matrix will tell you if you can jailbreak your device. All Apps are on Cydia which is installed when you jailbreak and is the Jailbreak App Store. 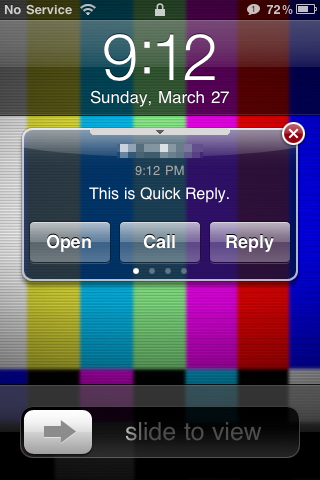 Lets face it, if you text at all on a iPhone you have grown to hate the native Text Messaging App. It is clunky, when you get a text you have to jump into the app to reply which is extremely annoying when you are doing something in another app, you are limited to a few text ringtones. I could go on and on forever. Apple has not done any work on the stock Text app since the release of the original iPhone and it shows. So what is the solution? BiteSMS. It has every feature you wished Apple would put into the native app and a bunch you never thought about but once you have it you never knew how you went without it for so long. If you need one feature to push you over the edge to use it here you go. Never again will you have to leave a app to reply or compose a text. Heck, you don’t even need to unlock your phone to do it. It is my number one used app on my iPhone and has paid for itself tenfold. Do you have a Google Voice account? Would you like to have your Google Voice SMS and Call Features work seamlessly with your iPhone? Well here is your solution. Since Google introduced the Android your hope for a official solution is pretty much never going to happen. While there is now a official and several 3rd party Google Voice apps none of them are really user friendly, especially compared to using the service on a Android. Now you are asking, what do they do and why should I want this or be excited? To quote the website “Phone GV Extension and SMS GV Extension are system extensions (NOT standalone apps) that seamlessly integrate Google Voice phone and messaging capabilities (phone: Direct Dial mode and Call Back mode; SMS: Send and Receive) to iPhone.” To dumb it down you can call using Google Voice using the native Phone app and send and receive SMS for free using the native Text Messaging app (or BiteSMS which takes over for the native app). If you are a Google Voice user (and if you are not you are missing out) this makes your life a ton easier. I won’t go into all of the features of Google Voice but it is things you will most likely use and it is free. Being able to have unlimited texts for free is worth it alone. The only downside to using Google Voice for your text needs is the lack of MMS, but if you don’t need or use it you can save a ton of cash every month by dropping your texting service. To learn more about the apps go here. You ever want to Facetime or Skype on 3G or need to download a larger app off the App Store while on 3G? Well here is your solution. It allows those things by tricking applications into believing they are on WiFi, even though they are on 3G or EDGE. It might not be a must have all the time but when you need it, it is a life saver. For the record I prefer 3G Unrestrictor but both work just as well. Up until a few months ago AT&T did not allow tethering on the iPhone at all and until even more recently there was not a official way to use the iPhone as a wifi hotspot. 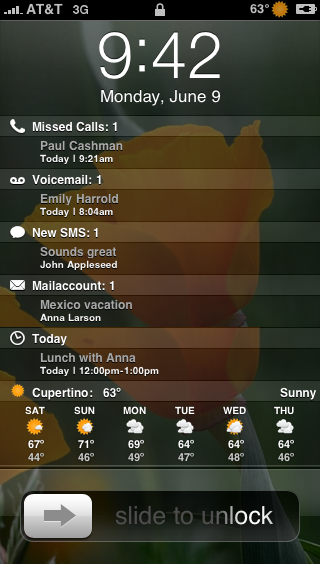 Well if you have a jailbroken iPhone you would have had these features for years now. MyWi turns your iPhone into a wireless hotspot so you can use your wifi devices anywhere. It is a stand alone app that does not use the current native solution and works on all iPhones. TetherMe on the other hand enables the native tethering without having to pay your carrier to enable it. So if you have a iPhone 4 you can enable the native wifi hotspot. I don’t have to tell you if you are a traveler how handy these apps are. I was recently in a hotel that charged 40 dollars a night for internet access. Spending 20 dollars one time is a lot better than swallowing obscene hotel prices. Also for you wifi iPad owners both of these apps work great with your iPad, in fact MyWi has a addon that automatically connects your iPad to your iPhone when it needs the internet and shuts it back off when done. I could honestly go on forever with fantastic Jailbreak apps and tweeks. Lockinfo for making your lockscreen more than wallpaper and time. 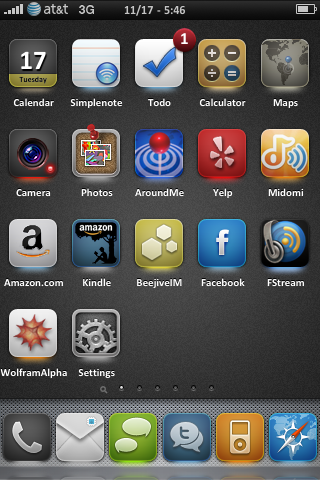 Winterboard allow you to theme your phone to allow things like this. LiveClock that animates the Clock app on the homescreen, Weathericon that puts live weather infomation on the Weather app and thousands more tweaks and apps. If this has not convinced you to at least try out jailbreaking your device than perhaps you don’t use your device as much as I do. Go ahead and try it, if you don’t like it you just have to restore your phone back to normal and there is no trace of the jailbreak ever again.